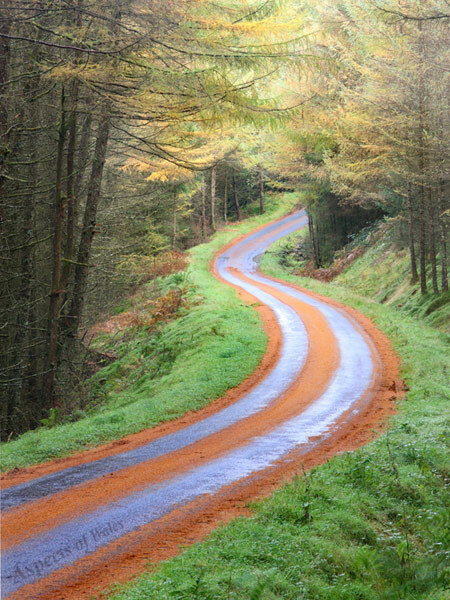 I liked the shape and colours of these tracks through the pine needles on the winding road around Llyn Brianne. This photo was taken in the morning of 30th October 2013 at NGR SN8118150271. Canon EOS 40D, Canon EF-S 17-85mm lens at 72mm, Manfrotto tripod. Exposure F16 at 3.2 seconds. Original image in Raw format, resolution 2582 x 3443 pixels after cropping to 3x4 format.